different features may drive you in the situation of dilemma. Therefore, I have researched for top 10 best free WordPress themes, which you can use in your blogs or a website. Lets see the collection and choose your best one. Hueman is the top best free ultra responsive flexible WordPress theme with various functionalities. I have chosen this theme as a best one because of its professional looking design and its extra ordinary features. Now,download and try this theme. I think you will probably like it. 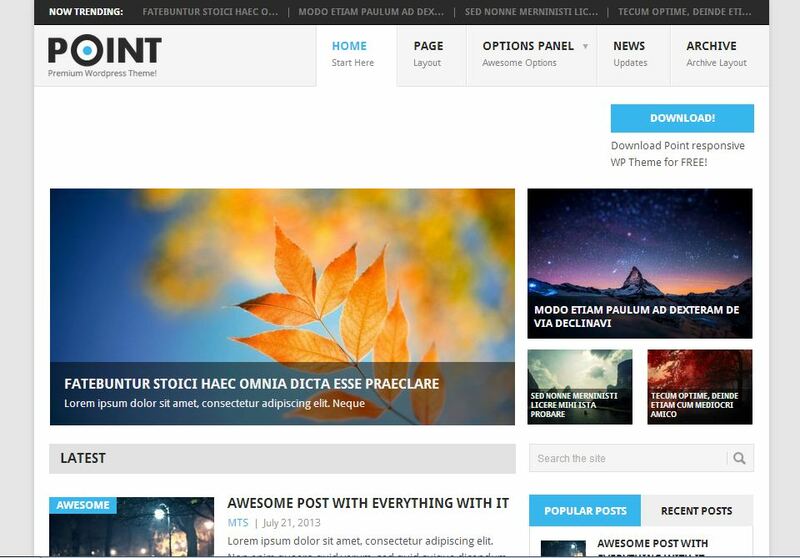 Point is another great theme with a sleek, fancy design with friendly layout. It is a responsive theme with SEO optimization features have custom background and colour scheme features. 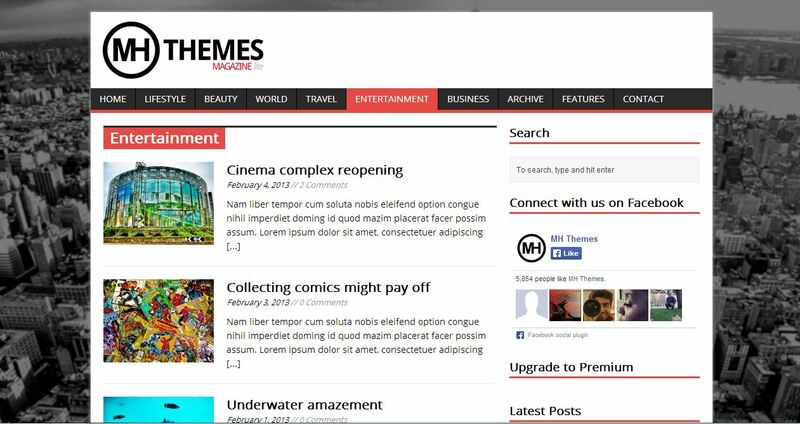 It’s a 100% free responsive theme with friendly two column layout. 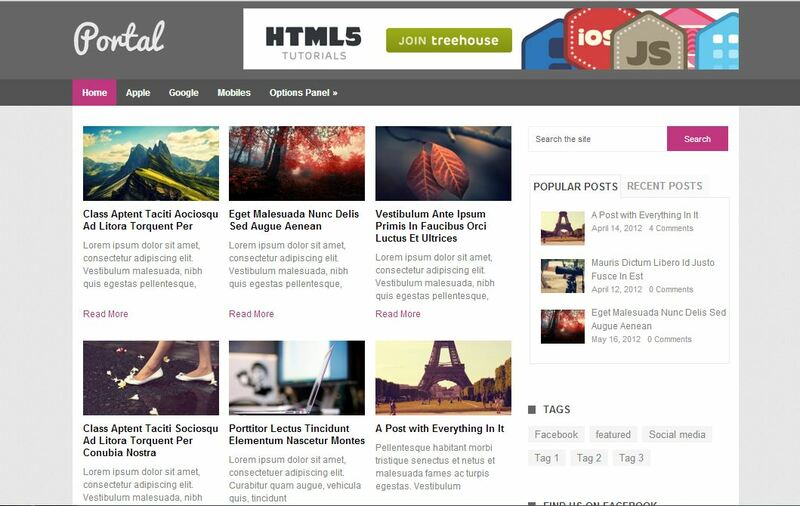 This theme is featured with mythemeshop SEO optimization and some of the most popular widgets. PlayBook provides customizable unlimited background and unlimited colour scheme. Portal is another cool and stylish free theme by mythemeshop having responsive grid layout with SEO optimized features and various different custom widgets. It is integrated with various feature that allow you to control the theme function which will remove your headache of looking the theme source code. 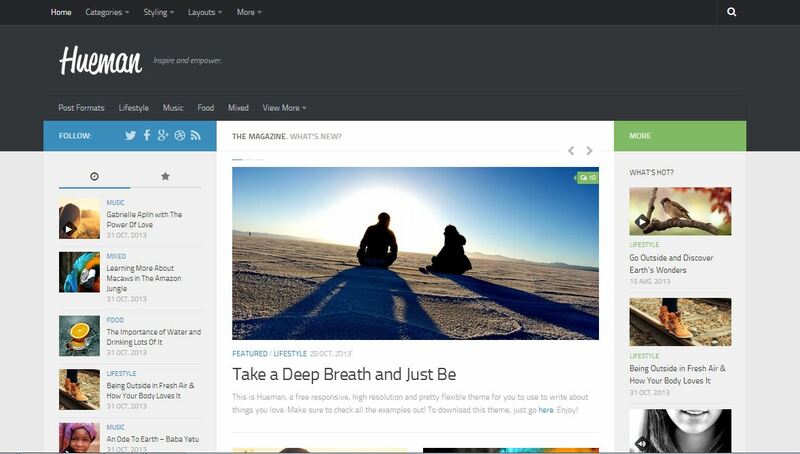 Bloggie is a theme specially designed for blogs by mythemeshop with responsive layout and a well functional option panel. Bloggie is another cool theme for newbie blogger who are searching for best wordpress themes having cool ad management, related post and SEO optimized features. 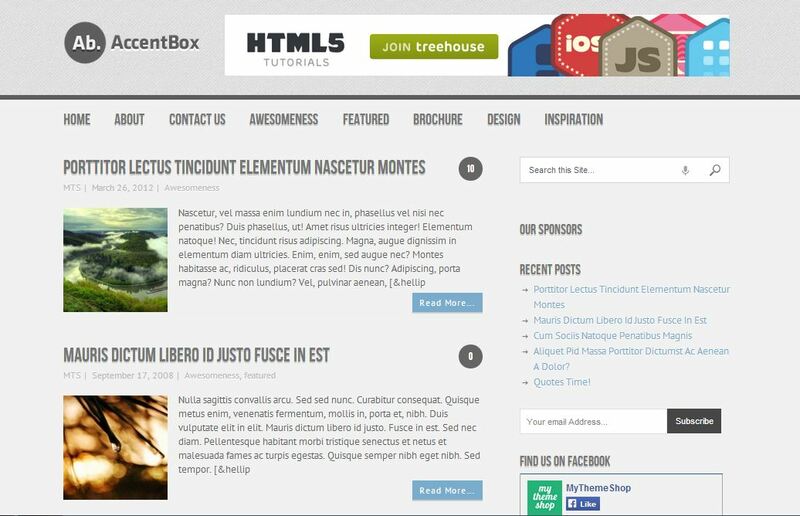 AccentBox is a great theme specially designed for blogs with responsive and flexible layout design. It is also another theme by mythemeshop with SEO optimization functionality with a cool option panel to control the theme functions. MH Magazine Lite is a cool free magazine style theme without responsive design. However, it is not a responsive theme but the functionalities of this theme are great. I am sure that you will obviously like this theme. 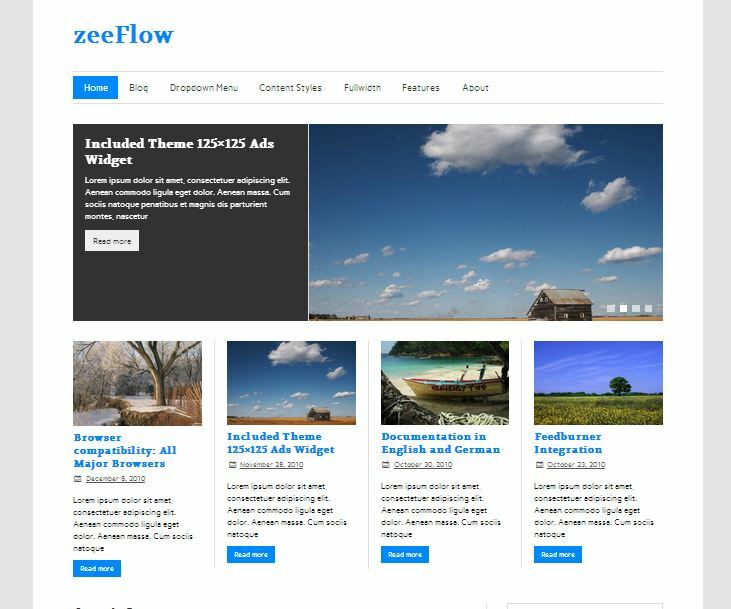 ZeeFlow is a powerful responsive theme with highly customizable Theme option with eight colour scheme. 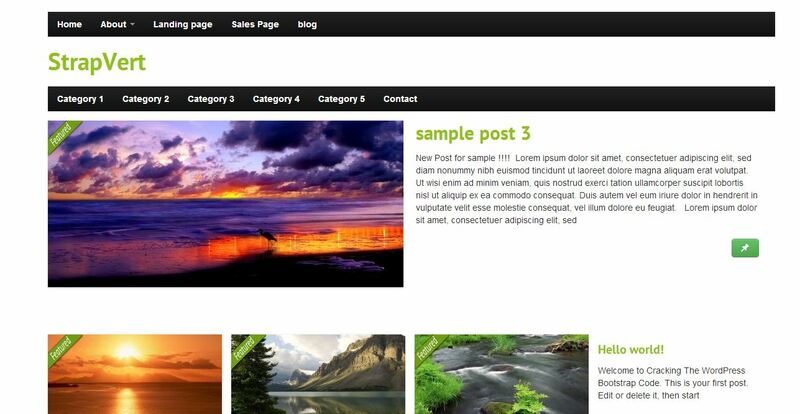 This theme is fully responsive and there is no problem if your visitor is using smartphone or tablet. All I’m looking for you is your honest opinion and words for me. If you find my collection useful do share with other budding bloggers, who might make most out of it. In my opinion Portal is the best theme for adsense because it provides inbuilt functionality of adding codes of ads in its header banner and inside of the post. I am fed up with searching best free SEO friendly theme. Please suggest me best theme for my blog. Thanks for MH magazine theme. it looks good. pro version looks very good. Will you please suggest me a good theme for personal blog out of all these themes you have mentioned? I think Bloggie is the best one. Thank You so much for this . I think PORTAL is best for me . 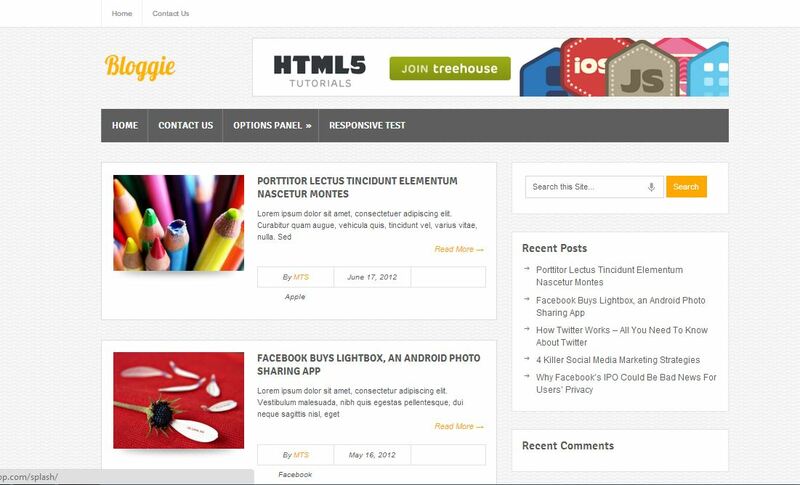 While I am not here to promote or market for a new theme, if I had to choose one from the list, I would go with the Adsense Theme from MyThemeShop. I don’t use Adsense on my most of the site, but I’ve been considering it. If I ever do, maybe, I’ll switch to one of these templates to see if it would support me to increase my earnings. All the themes you shown are really charming and elegant but are also premium. I will be happy if you could propose some free Adsense friendly themes. I personally worked more WP themes on my blog before, it was not so good in boosting the AD Revenue, but it was heavy in loading particularly for newbies like me that always looking to make money blogging from Banner Ad Instead of Affiliate Marketing. I would suggest any but newspaper style which is way better in terms of speed as well as mobile responsiveness since they also have quite extraordinary benefits like structured Data etc. 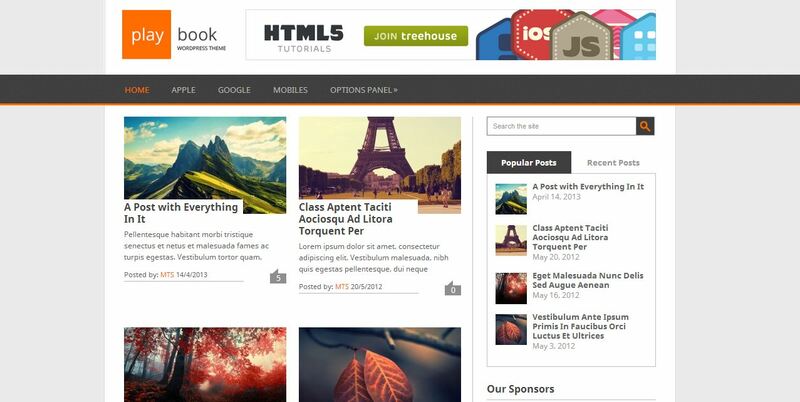 Thanks for sharing all these themes with us, I know that they will help anybody to increase their Adsense earnings. Yes, but these are also free themes. I think I will try portal !